This is a special bonus tutorial I’ve posted for my supporters on Patreon. 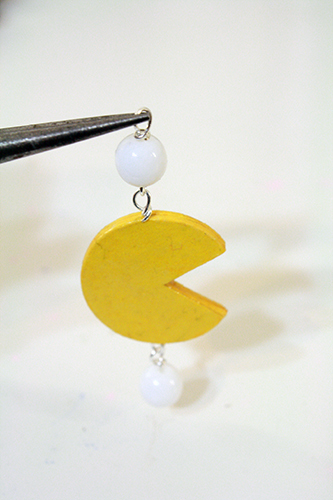 It pairs with the just-posted public tutorial for a making Pacman paper beads. This is a great little tutorial for learning some basics of jewelry making, focussing on how to loop beads and jewelry findings such as chains, jump rings and earring hooks together with wire to create necklaces, bracelets and dangling earrings. To become a supporter and gain access to this tutorial, simply head over to my Patreon page and pledge any amount you wish – you’ll be charged that amount for each full tutorial I post (not including bonus tutorials like this one), which happens every other week. Any pledge of just $2 or more per tutorial will get you access to great bonus content like this!